Many families choose to install trampolines in their yard for their children to play on, creating years of wonderful memories and providing a convenient way for kids to exercise and get outdoors. However, trampolines can be dangerous when used incorrectly. That’s why it’s important families practice essential trampoline safety to ensure everyone enjoys jumping without getting hurt. Before you or your kids take their first jump on a new trampoline, proper installation is essential. The springs and bolts on the trampoline should be placed correctly on the trampoline, and the springs must have enough tension in them to support your children’s weight. Without this tension, jumping and landing becomes risky. These springs should be checked every few months, and replaced when they become worn out. Safety features should be installed on your trampoline before jumping on, too. Spring pads on the trampoline prevent your kids from stepping or landing on the springs and hurting their feet, while providing an extra foot or so of cushioning in case they start to fall off the trampoline. 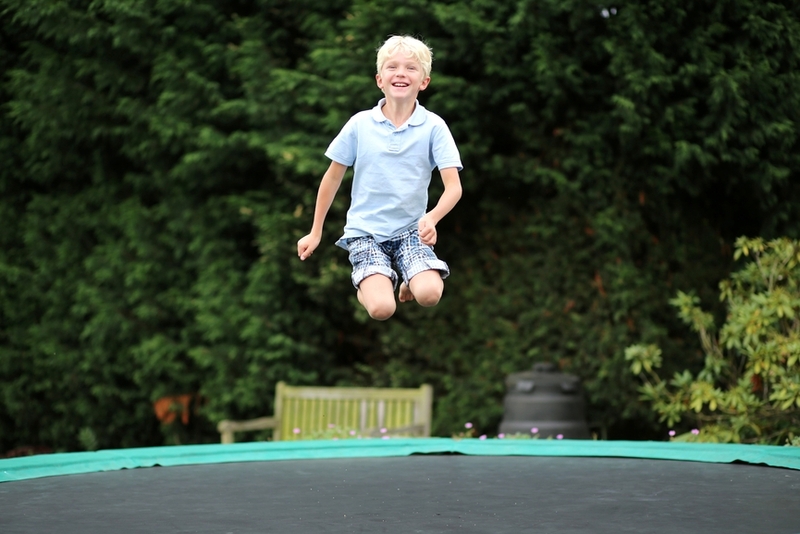 Trampolines should always be kept clean and dry while jumping to prevent slippage. If there is rain or snow on the trampoline, you should avoid using it until it has completely dried. Before you begin jumping, empty your pockets and remove any heavy jewellery from your body to avoid loose objects flying, or punctures to your trampoline. Casual trampoline users should not attempt any acrobatic flips or somersaults, without proper gymnastics training or supervision. Practicing these essential steps means everyone can enjoy their trampoline safely, while maintaining its bounce for years to come.